In order to continue providing top class service to the rapidly increasing pool of buyers, Just Fitter has introduced a dedicated support team for their top rated product Ketone Testing Strips. This product is extremely popular amongst individuals following different weight-loss diet plans. Just Fitter is pleased to announce the official launch of a new and dedicated customer support division for the company’s highly successful product Ketone Testing Strips. This new support team has been created with the objective of delivering prompt and quality service to the ever expanding user base of this product. 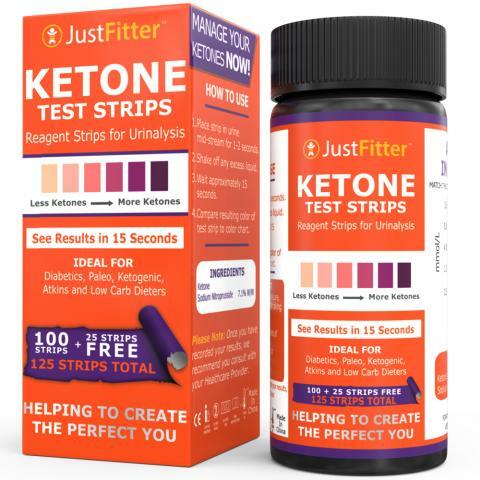 Just Fitter Ketone Testing Strips are currently available in Amazon.com for $6.95 per pack, each containing one hundred and twenty five home testing strips. With millions of people around the world adopting to weight loss diet plans, the importance of ketone testing strips have increased significantly. Keto, paleo, Atkins, and all other diet plans are based around a specific state of the human body known as ketosis. This is a stage when the human body starts burning fat for fuel rather than carbohydrates. Naturally, the body starts achieving its fat loss goals from this phase. Experts suggest that the earliest and easiest way to reach ketosis is to limit the intake of carbs to 5% (approximately 20grams) of total calories per day. As the body can only store a few days supply of glucose in the form of glycogen, most people go into ketosis by consuming less than twenty grams of carbohydrate for a few days. Keto testing strips are important components of these diet plans because these strips help the dieters ascertain the ketonic states of their bodies. These urinalysis strips are inexpensive, accurate, and can be administered without any clinical intervention. The testing strips from Just Fitter are composed by Sodium Nitroprusside 7.1% W/W, on a PVA plastic strip. The company claims that once the bottle is opened and the seal is broken, the test strips readings remain accurate for sixty to ninety days. With close to fifteen hundred Amazon reviews, this product is currently amongst the top ten Amazon bestsellers in its category. “I cycle in and out of ketosis – upping my carb intake for a while and then cutting back again. I find using test strips helpful to confirm I’ve reduced carbs sufficiently when I’m aiming to resume ketosis. I’ve used other test strips but these seem to more accurately and consistently correlate with the changes I make in my diet. And a big plus is that this vendor offers very helpful follow-up and support, something that was a complete surprise for such a small purchase. I’ve received a couple of informative emails about ketosis and tips on using the strips,” says a highly impressed Amazon reviewer.